Quick summary: In this activity children investigate the features of bees and how bees use these features. Younger children begin by sharing what they already know about bees and then look at and discuss flashcards of bees. Children can then make bee finger puppets using a template. 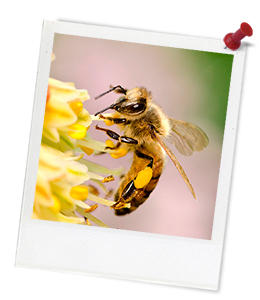 Older children begin by looking at flashcards of bees and then participate in a game where they take on the roles of bees collecting pollen to bring back to the hive. This activity is designed to help connect children to the wonders of the natural world through sensory and play-based learning. Print the Parts Of A Bee Flashcards and stick the provocations to the back of each corresponding image. Print the Bee Finger Puppet Template and drawing/colouring materials. A defined area large enough for two children to fit inside (e.g. rearrange tables and chairs to make a space – this will be your hive). 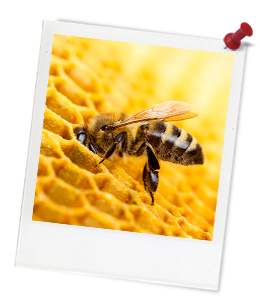 Learning goals: The aim of this activity is to get children thinking about the features of bees and how bees use these features. Younger children begin by sharing what they already know about bees and then look at and discuss flashcards of bees to further their understanding of bees and their features. They can then make bee finger puppets. Older children begin by looking at flashcards of bees and then participate in a game where they take on the roles of bees collecting pollen to bring back to the hive to understand how bees work together to make honey and keep the hive healthy.